17 November was a special day for FoFNL and the Scottish Association for Public Transport. 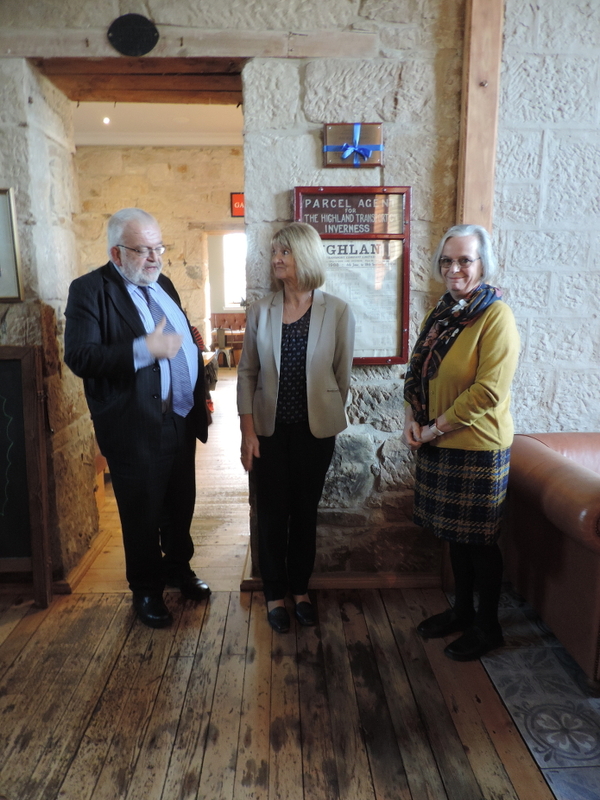 The plaque in memory of Bob Barnes-Watts, who was an invaluable member of both organisations, was unveiled by his sister Mary and his partner Anne inside Platform 1864, the restaurant in the original Tain Station building where he and Anne were regular visitors. 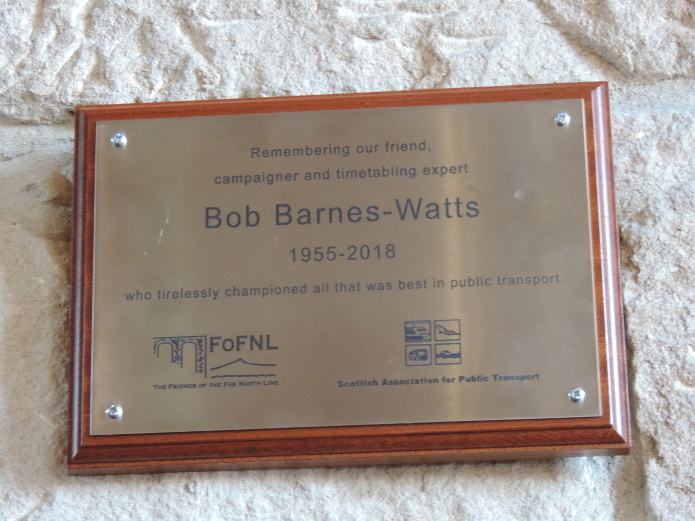 John, Anne and Mary about to unveil the memorial plaque, which reads: Remembering our friend, campaigner and timetabling expert Bob Barnes-Watts 1955-2018 who tirelessly championed all that was best in public transport. The plaque is placed above a Highland Transport Company bus timetable of 1938 which Platform 1864's owner, Graham Rooney, had acquired, much to Bob's delight. Over 30 of Bob's friends enjoyed soup, sandwiches and tea/coffee before a tour of the station building. Bob would have been very happy that the event was presided over by his friend John Yellowlees - someone whose head is filled with fascinating and useful information, just like Bob's. Photos by Dr John McCormick, Chairman, SAPT.